So how does a person go about sensing subtle energy? People perceive energy differently. Many healers feel energy with their hands. Some see it. Some hear it. Some just sense it, or have a "knowing." Some feel it with their whole body. Some even smell it or get a taste sensation. And there is no right or wrong way, no way that is better than the others. And in fact, healers may even sense entirely different things with the same person. Healer and teacher Alain Herriott says that there are many, many channels of information that you can tune into. So, working with the same person, you may tune into one channel, while another healer tunes into another, yielding very different kinds of information. But is sensing subtle energy necessary for doing energy healing? Probably not. If your intention is to heal, the energy will go where it is needed. A person's innate genius for healing will use the energy where ever and however it is most needed. Nevertheless, it can be useful to perceive energy. And I believe that we can all learn to do it. Sensing other people's energy is something we do naturally, all the time. Start paying attention to the subtle (and sometimes not-so-subtle) feelings you get about people. Your own body is a reliable reader of energy. Perhaps some people make you feel relaxed and happy, while your stomach ties itself into knots with others. Your body is telling you about their energy! Here is a list of ways that I have experienced energy or seen clients experience it. I think it is helpful to know that it can be perceived by various poeple in such a wide range of ways. So you already sense subtle energy pretty well (be confident! ), but here are some links to exercises and techniques for developing and amplifying your awareness. Learn two simple exercises for developing hand sensitivity to subtle energy here. Learn about sensing auras (energy fields) and seeing auras here. 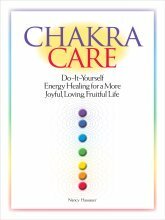 Learn about sensing chakras here. Learn the technique of muscle testing, which can give direct information about our bodies and energy systems. Explore your unique intuitive style, which will help you tune in to your native style of sensing energy as well. But Is Sensing Subtle Energy Absolutely Necessary? But do you need to be able to interpret what you are sensing--to know what it means? A lot of people get hung up on this. I think not, although others may differ. Here are some thoughts about whether or not it's necessary be able to interpret what a particular sensation means. Go from Sensing Subtle Energy to site home page.